No more wet boots! 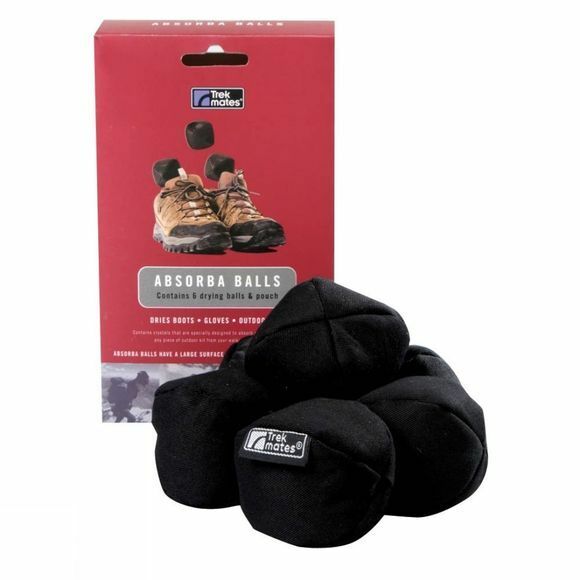 The Absorba Balls contain crystals that are specially designed to absorb moisture from almost any piece of outdoor kit from your walking boots to gloves. These compact balls will naturally absorb the moisture in a matter of hours without the use of any electricity, leaving your kit dry and undamaged. Absorba Balls are easily regenerated by drying them out on a radiator or in sunlight.